Antarctica, a land of mystery and wonders, is the Earth's last great wilderness. Fifty million years ago, it had evergreen forests with many types of animals and plants. Today the continent is a white desert and known to be the coldest, driest, stormiest, windiest, and the most inaccessible place in the world. It is a continent of extremes. Nearly six months of continuous day, six months of continuous night, a lowest temperature of -89.6° C. and winds that reach a speed of 190 km per hour during blizzards, make this continent a unique place. This no-man's continent has nearly ninety per cent of the world's freshwater deposit in the form of ice. If the ice is allowed to melt, the Earth's sea-level will rise by several metres thus submerging a major part of the Earth. India's journey to this remote, isolated and extreme continent began in search of knowledge and with a desire to unravel its mystery. 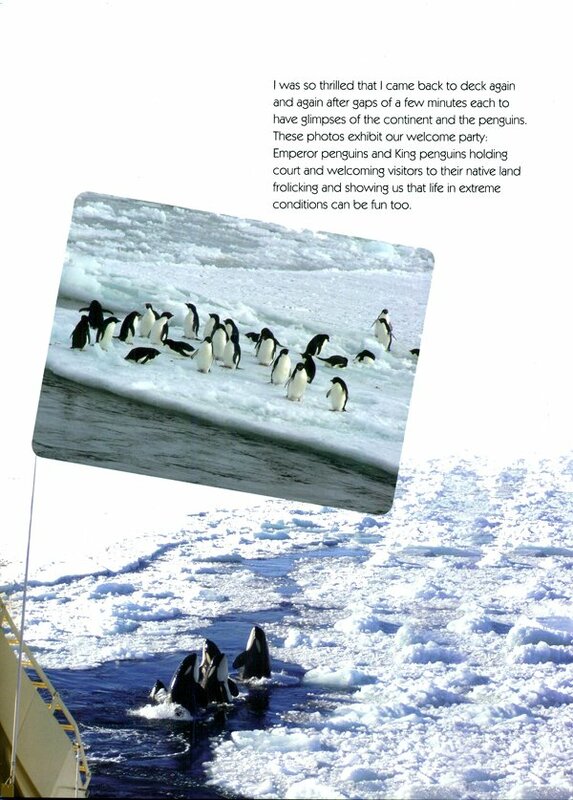 Antarctica: India's Journey to the Frozen Continent is about a journey, a mission, an initiative, a challenge, an adventure, a dream, and finally, about establishing the scientific capability of India in the world. This book not only describes the beauty of this enigmatic continent and the origin of India's Antarctic venture but also gives us an account of the first-hand experiences of two different persons: one, a leader and the founder of India's Antarctic programme and the other, a research scholar who undertook his maiden journey to this continent. Dr. Sayed Zahoor Qasim was the director of the National institute of Oceanography and was appointed as the founder secretary in the Department of Environment, Government of India, in 1981. In 1982, he took over as the secretary of the secretary of the newly-established Department of Ocean Development. Dr. Qasim led India’s first expeditions till 1988. Known as the ‘Ocean Man of India’ and the ‘Antarctica Hero’ he was elected as the general president of Indian Science Congress Association. He has also held the positions of Vice-chancellor, Jamia Milia Islamia and Member, Planning Commission, Government of India. Dr. Qasim has been awarded several national and international awards including the Oceanology International Lifetime Achievement Awards of UK, the Padma Bhushan and the Padma Shri by the Government of India. Dr. Dinabandhu Sahoo was the first Indian student to visit Antarctica during 1987-88 in the Seventh Indian Scientific Expedition to Antarctica. He has visited all the seven continents and five oceans within a record time of eighteen months. He was a visiting fellow at the Smithsonian Institution, Washington DC, INSA-JSPS visiting fellow Japan and has travelled extensively. He is the recipient of several awards including the award from the National Environmental Science Academy, India for his outstanding contribution in the field of Marine Science. Dr. Sahoo directed a documentary titled “Chilika: The Untold Story” He is member of several International and national bodies and has authored many publications. He has been actively involved in the application of Science and Technology for various rural and development programmes and has been recognised amongst the select twenty social entrepreneurs of India. Presently, he is a faculty member at the Department of Botany. This book is about a journey, a mission, an initiative, a challenge, an adventure, a dream and finally a stepping stone for establishing the scientific capability of India in the world. This is an actual physical journey to a remote part of the world which we could not have even thought of earlier. This is not only about our journey, but also India's journey to Antarctica, which led to the foundation of India's polar research programme. India launched its first ever scientific expedition to Antarctica in December 1981. Launching a scientific expedition to Antarctica was the foremost desire of Late Mrs. Indira Gandhi, the then Prime Minister of India who had a great interest for science. More than thirty years have passed and several expeditions have been successfully sent to Antarctica. Although, India has achieved several milestones, there is no first hand information available about the origin of the Antarctic programme during its formative years. This book not only describes the beauty of this enigmatic continent but also gives a first-hand experience of two different persons: one, a leader and the founder of India's Antarctic programme, and the other, a student who made his first ever overseas trip to the no-man's continent. Antarctica is a continent for the future. It is a place for adventure, exploration, tourism, and a laboratory for science, unparalleled in terms of its vast mysteries. The unique climate, wind pattern, interaction of water in all its three forms namely ice, water and vapour, the short wave radiation from the sun, white-out conditions and the most unusual weather patterns offer great challenges to a scientist. What is so fascinating about Antarctica? Why should Antarctica be so cold and why is there so much ice accumulation in such a remote corner of the Earth? What are the consequences of this huge ice sheet in the surrounding oceans, atmosphere and its effect on global weather"? What is stored under the ice and what do the large quantities of entrapped gases and other materials in the ice reveal about the past? Questions such as these may sound simple enough, but their answers are extremely complex, and to understand them, the scientific capability must be developed to a high standard. Besides, the quality of equipment and human endurance required for understanding the various phenomena over Antarctica, the creation of capabilities and infrastructure for conducting future experiments in a continent like Antarctica is in itself an immense scientific challenge. Antarctica-the seventh continent of the Earth is known to be the coldest, driest, stormiest, windiest and the most inaccessible of all the other continents. The continent is commonly known as "White Desert" or "The Home of Blizzards" or "Penguins' Land" or "The Icy Continent" or "Southern Continent" the "Biggest Refrigerator in the world". This is not only a land of mystery and wonder but also the Earth's last great wilderness. The vast extent of ice, severe climatic conditions and the remoteness from the other parts of the globe, make it a virtual "Other World". A continent of extremes with nearly six months of continuous day and about six months of continuous night. the lowest temperature of -89.6 0 C and wind speeds up to 190 km per hour during blizzards make this continent a unique place on Earth. It is Earth's last frontier, the most inaccessible and least explored part of the world today. A continent of extremes and mysteries, Antarctica is completely different from any other part of the world. Going to Antarctica in those early years of expedition was like going to space. In other words, you can call it going to heaven or hell depending on your experience during the journey to the mysterious continent. It is the driest of all continents and also called "Cold Desert" where nearly 90% of the world's fresh water is stored in the form of ice. Although it is the fifth biggest continent, its largest permanent inhabitant is a wingless fly, but still Antarctica is known as Penguins' Land. Although it has an area of fourteen million square kilometres (bigger than India and China put together) only 2000-3000 people live there during the summer season and only around 1000 during the extreme winter season. It is the least inaccessible as compared to all the other six continents. More than 98% of the continent is covered with ice. This is unlike the Arctic where people can obtain food; and there has been a native population of Eskimos living in the Arctic for thousands of years. The Antarctic, on the other hand, is totally devoid of an indigenous human habitation. The average mean temperature in Antarctica is -35°C and the lowest recorded was -89.6°C. The wind gusts can exceed speeds of 300 km per hour. Add the wind chill factor; the temperature can plummet below -100°C. Although it has huge snow accumulations in its ice cap, the average snowfall is only 50 mm per year as the air is very dry. Today, Antarctica is a place of extremes.